Lone Madrone wines are unique not only because of where the grapes were grown, but due to the influence of Neil Collins winemaking style. What an honor that Neil was voted BEST WINEMAKER OF THE YEAR by his peers. The winery produces some rare single varietal wines, however the majority of Lone Madrone wines are extraordinary blends where you distinguish Neil’s unique winemaking slant formed over years of tasting and blending west side Paso Robles wines. 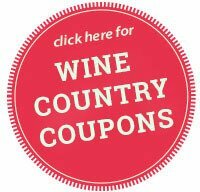 Albariño, Barbera, Cabernet Sauvignon, Chenin Blanc, Dessert Wine, Grenache, Grenache Blanc, Late Harvest, Late Harvest Viognier, Late Harvest Zinfandel, Mourvèdre, Nebbiolo, Petite Sirah, Picpoul Blanc, Red Blend, Red Meritage Blend, Red Rhône-Style Blend, Rosé, Roussanne, Syrah, Tannat, Viognier, White Blend, White Rhône-Style Blend, Zinfandel.